Sibling rivalry is an issue for most families with multiple children. This article looks at some of the challenges. When it comes to family businesses, sibling rivalry has even been identified in the downfall of such notable companies as Schwinn Bicycle and the Louisville Courier–Journal where the famous Bingham family squabble took place. In avoiding the kinds of family conflict that can be detrimental to your company, one of the important factors to consider is birth order. Recent research on birth order provides new insights into how and why children from the same household can be so different. Author Frank Sulloway in his book Born to Rebel: Birth Order, Family Dynamics, and Creative Lives, compiled research on more than six thousand people in order to draw his conclusions. A brief summary of those conclusions follows. First-born children from different families are often more alike than siblings from the same family. First-born children are usually authoritarian, defenders of the status quo, and more conservative than their later born siblings. They are generally more comfortable in take charge situations than younger sibs. They are generally more conscientious, responsible, more worried, and more anxious about problems beyond their control. By way of contrast, later born children are inclined to be more liberal and open-minded in their thinking. They tend to accept new ideas more readily than first-born children. Sibling differences often outweigh gender differences. First-born women can be as conservative as their first-born male counterparts. A first-born, whether male or female, is a more likely candidate to become a meticulous mechanical engineer than a later born child. Conflict has a place in the family business and can be beneficial. If siblings learn how to handle aggression and keep anger within limits within the protected environment of their home, they usually have a well developed sense of how far to push the envelope without actually injuring or doing permanent damage to each other later in life. Much more important in the family business is how the conflict which naturally exists in the company is managed and expressed. Siblings who as children are encouraged to express strong differences directly are more likely to find common ground and get over conflict as adults. They are generally able to experience more intimacy later in life because their fights are honest and out in the open. In those families where conflict is strictly repressed, however, it is much more difficult to establish sound and open communication. Children of the same parents are raised, in effect, by different parents. Between the birth of the first child and the last, especially if there are many years in between, parents change economically, physically, and psychologically. A child’s place in the birth order is a major influence on his experience of childhood. Parents are most anxious and attentive when raising their first child. By the time other children come along, they are more relaxed and experienced. The inescapable conclusion is that many factors, including child rearing, change parents. Business succession planning today requires objective assessment of the leadership abilities, historical performance, temperament, and other factors of candidates. The stage of the family company in the business life cycle also calls for different skill sets and personality traits. Simply because one child was born a few years before another does not make him the right choice for CEO. If you are shopping for CEO talent outside of the family, wouldn’t you select the most qualified candidate? 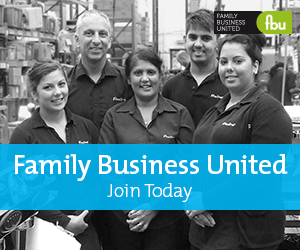 Why should it be any different when choosing the next CEO for the family business? Birth order is just one of a number of determinants which need to be taken into account when evaluating children for possible entry and leadership in the family firm. Remember, when Mom and Dad are no longer around to be referees of family disputes and provide moral direction and authority, the children are going to have to deal with each other – possibly for the first time – as adults. Preparing your children for open, constructive, adult communication can be easier if you take birth order into account.